A favorite of early Oregon farmers, this vigorous vine sets bean pods from the base to the top of its six foot height. 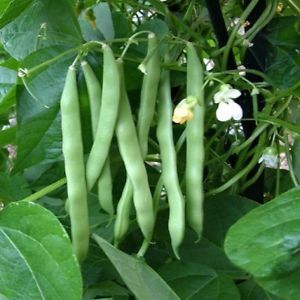 Produces a heavy crop of tender, crisp and stringless pods that remain tender even at full maturity. Ideal for table use, canning and freezing. The Blue Lake stringless pole bean gets its name from the lake district of Ukiah, California. The original Blue Lake bean came from the upper Missouri River basin, where it was found growing wild in the gardens of Native Americans.